The life of developers could get easier if they would be having some sort of tool that would generate bug free code automatically and also gives loads of flexibility to write the custom lines of code. Fortunately, such a tool is not an imagination only, it is present around us with the name, TemplateToaster. The TemplateToaster is known as an automated theme maker for WordPress, but there is another good side of this software is its flexibility of making themes by letting a professional developer write code. That is why, TemplateToaster is very much for the developers. Why should a developer get TemplateToaster? Developers can do the designs without the help of designers. TemplateToaster produces code automatically. 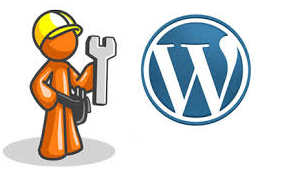 The code, produced by it complies with the WordPress coding guidelines as well as W3C standards. Thus, there is no need to worry about the quality of the code. For the automatic production of code, it will save time, thereby productivity will increase for the developers. The developers go to the designers to fulfill the aesthetics of projects. In other words, a developer has to wait till the layout and design of the website get ready, and indirectly, the developer becomes dependent on a designer. TemplateToaster helps developers to bring out their creativity by taking the form of a designing tool. Using the TemplateToaster, a developer can itself do the designing as well. TemplateToaster follows the most recent standards of the W3C that is HTML5 and CSS3. This feature of TemplateToaster ensures to the developers that their development will go standards. So, with the better markup and styles, TemplateToaster is the right choice in contrast to the other theme generators that are meant for the non-IT people. Besides HTML5, TemplateToaster uses the BOOTSTRAP3 in producing themes. This is yet another latest technology sought after in the web templates, and all the WordPress developers out there will also like this feature. A developer better knows the importance of this feature in making web templates. HTML5 is directly responsible for the responsiveness in websites. TemplateToaster seems one of its kind software that is so useful for the developers. It is such a theme generator that is meant for making developers’ life easier. It produces some code automatically, rest of the coding you can do with editors, moreover, you can edit the files. In every way, it provides greater flexibility for the coders.